Four models of the YaM-5 series of wooden antitank mines were employed by the Soviets during World War II. 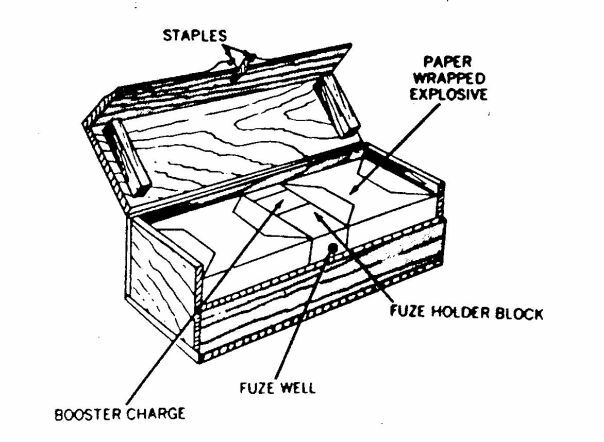 These mines, which differed only in overall dimensions and weights, are cased in an oblong wooden box with a hinged lid. The front of the lid has an overlap with a centered recess which accomodates the protruding striker of the MUV pressure fuze. On each side of the recess there is a staple which retains the peg which is passed through the eye of the striker retaining pin. 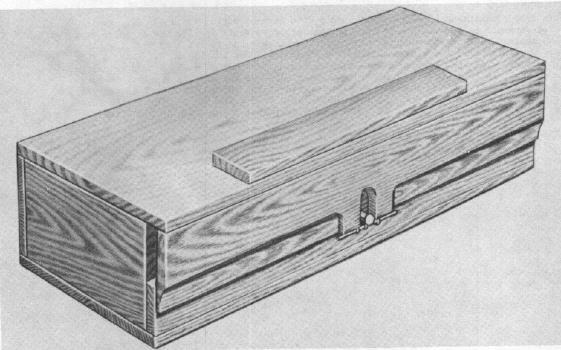 When pressure is exerted on the lid and it is depressed, the retaining pin is withdrawn from the striker and the mine detonates. In the postwar era, a larger YaM-10 mine has been produced. It is of the same basic design as the earlier YaM-5 models. Length: 474mm , width: 194mm , height: 93mm. Length: 620mm , width: 216mm , height: 196mm.